Daily winning names will be updated by 4 pm, Monday through Friday. Winners for Saturday and Sunday will be drawn and announced the following Monday. Tickets are available for drawings in both New Castle County and Sussex County. 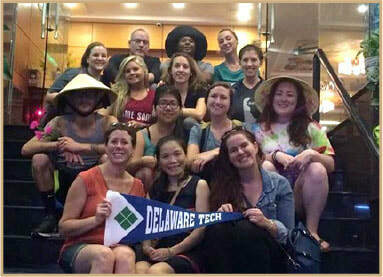 ​It has been an amazing experience to be a part of #dtccvietnam2016 #studyabroad. We have climbed proverbial and literal mountains, fed the hungry, helped build a home for a family in need, fell in love with the children at the orphanages, and learned to speak in a language without words. We have laughed, and cried, and tried new things. We have learned more than we could ever give in return and have grown close with people on the other side of the world. I am beyond grateful for this opportunity and will miss Vietnam in a very real way.